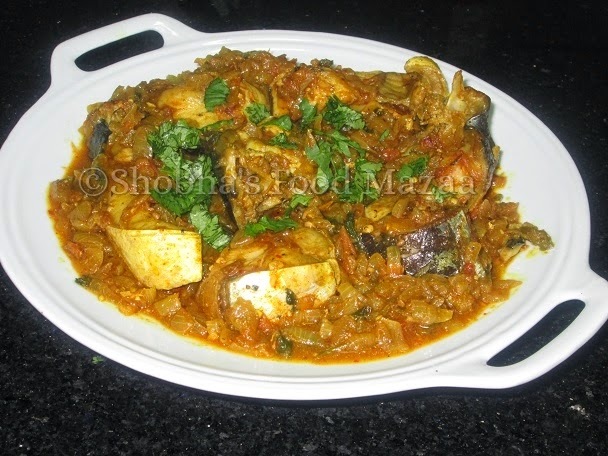 Try out this delicious Sindhi style fish cooked with onions and spices. It tastes very good with dhodho ( Bajra or Jowar ki roti ). Turmeric powder ..... 1/4 tsp. Garam masala .......... 1 tsp. 1. Wash the fish and marinate the slices with a little salt. 2. Cut the onion finely.Heat a little oil in a flat bottomed sauce pan and stir fry the onion for 2 minutes. 3. Add the chopped tomato, green chilli , ginger garlic paste, salt and simmer for 2-3 minutes. 5. Garnish with coriander leaves and serve with rotis. Perfect bowl to serve the dish.. This curry looks delicious. I ate a similar curry at a Bengali neighbor years ago. Fish looks great! And love the dish you've presented it in! Than you for this excellent sayal machhi recipe...turned out to be hugely delicious ! Different method of fish preparation.. Interesting part is that Amachoor powder addition.. Thanks Sujitha.. it is a traditional Sindhi way. 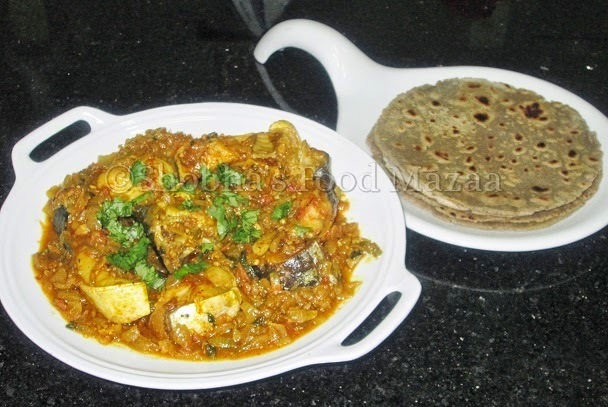 Really intresting dish as you have served with bajra ki roti. The dish sounds very flavorful and inviting with lots of aromatic ingredients. The fish is looking super tempting, interesting blend of flavours. Thanks for liking Soma.. our Sindhi speciality..